The 29th May bought the annual Cornwall YFC competitons day, this year being held at Trecarne Farm just outside of Newquay airport. One of the main competitions of the day is stock judging, where you order dairy cows, beef bullocks and lambs in the best order and give reasons. Launceston had several people entering the different classes, so we were bound to do well. We won two cups for stock judging, and well done to Holly Yelland and Sam Thomas who won senior stockman and young stockman respectively. Well done also to the cookery team who go through to represent Cornwall at the next round. 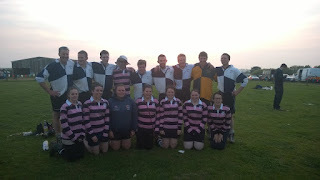 To finish the day, the was a rounders competition and then the tug of war. 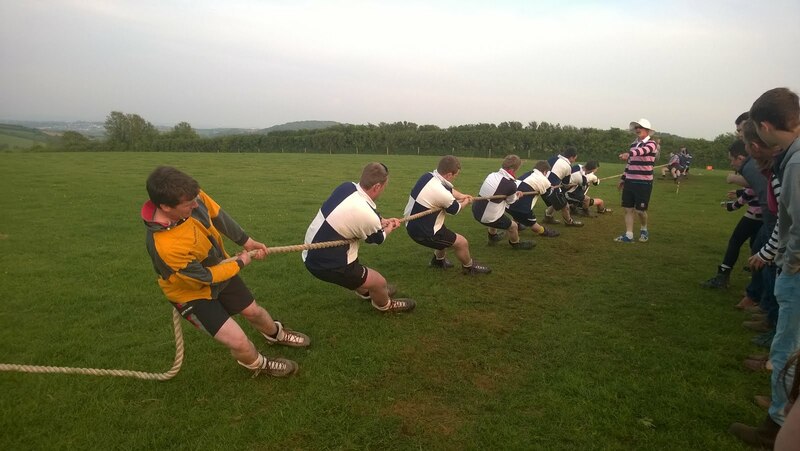 Launceston have a very strong team for both mens and womens tug of war teams. The teams were very equally matched in both competitions, and the girls done very well to achieve second place. Congratulation to the mens team that won the mens round! Despite losing to the second place team in the heats, they could hold on at the end when it mattered to win over all. Overall Launceston won the day with their strong performances, and a lot of fun was had at the disco in the evening. 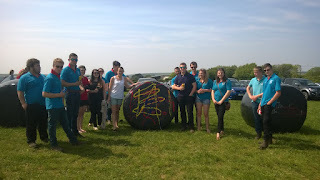 The paint a bale competition. Poor effort! 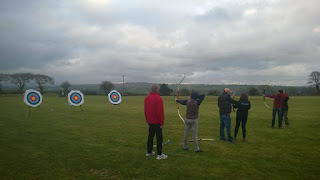 For boys entertain girls this year, the boys had arranged archery for them at Launceston cricket club. Despite the poor weather, a good number of people turned out to have a gland try their hand at archery. After a few practice goes each, we split into three teams and had a small competition to see which team could get the highest score, with each member having three shots each. A good night was had by everyone. 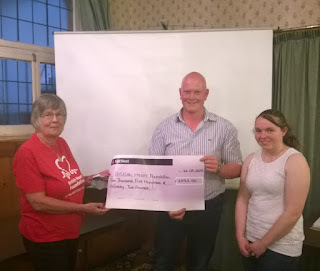 This week a cheque was presented to last years charity, the British Heart Foundation. Last years Chairman, Nathan Dinnis and Secretary Lauren Cornelius returned along with Hazel Cartwright from the BHF to make the presentation. £2592 was donated to the charity from fundraising that was done between October 2014 - 2015. This includes activities such as the annual dung run, and the Jack Glanville entertainments evening that was held in March 2015. Also this evening, we had a talk from past Launceston YFC member, Edward Humber. Ed currently works for the NFU as an advisor, and has been involved with the task of mitigating bovine TB. Ed described the challenges the NFU are faced with when dealing with the government and lobbying for changes to legislation, and told us what we can expect farming to do in the future. On the 19th May, we had a talk at the white hart from First Aid 4 Life. Sam, an outdoor instructor, and Stella, an occupational therapist took the session, and started off by showing us some pictures of on farm accidents, and by telling us some facts. 160 farm workers get fatally injured every year on farms, and over 14,000 have been injured in the part 5 years. They talked us through some basic first aiding including how to stop bleeding, the correct way to do CPR, and also showed us how to use a defibrillator, which are getting more commonly used these days. It was a very informative session that will be useful to know. This week we went down to West Antony Farm, near Torpoint, by kind permission of Mr Jeremy Oatey. The farm is rented from part of the Antony estate, and is mainly arable with some sheep. 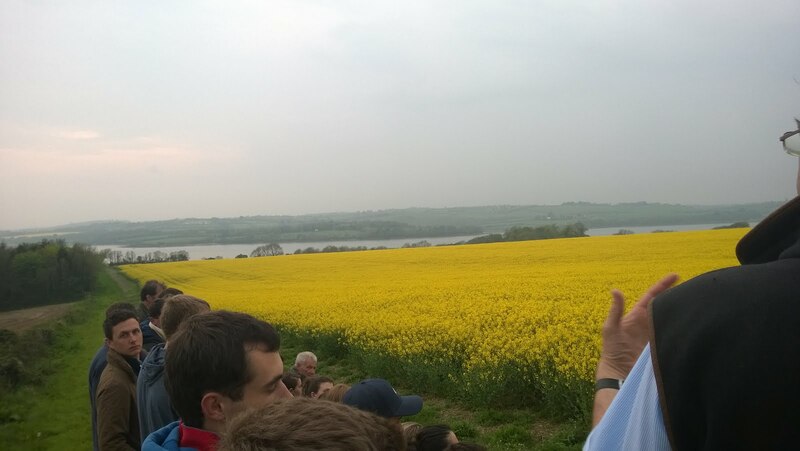 Jeremy explained that there were a large selection of crops grown on over 2000 acres across Cornwall. They are the only growers of onions in Cornwall, all of which goes to Ginsters so they can put Cornish onions in their pastys. They also grow several daffodils every year, and he told us how he is reliant on the workers from eastern Europe to help pick them every year. As well as looking around his land, we looked at all the cold storage for potatoes and onions, as well as looking at the vegetable processing line where they prepare and package any type of vegetable. Between the 6th and 9th of May, the National AGM and annual convention was taking place at Blackpool. 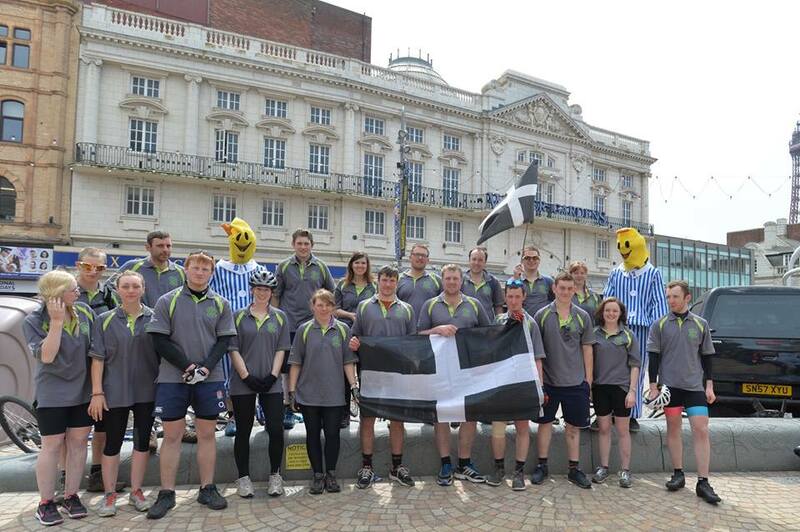 Launceston YFC member Matt Coles chose to travel there as part of Cornwall YFC's Wotnot challenge, where they cycled to Blackpool for charity. Very well done to him for completing this challenge. Other club members stayed up there for the weekend to participate in competitions and go to parties. The Sunday saw the final of the choir competition, in which Launceston were representing Cornwall and the south west. Eight choirs from around the country were taking part and competition was stiff. We started practicing back in October, and managed to win the Cornwall round, and joint first at the Southwest Area round to get to the finals. We achieved 6th place in the end which was still a great result. 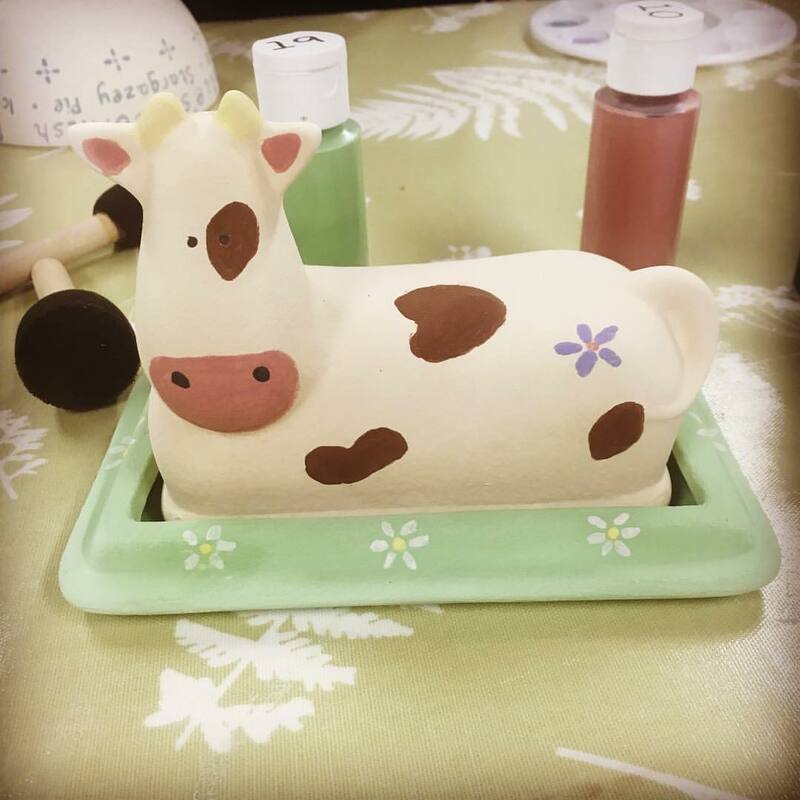 This week May 5th, members travelled down to Penbugle where members had a go at decorating clay molds. There were a selection of shapes they could decorate, cows, tractors and egg holders. Liskerard YFC member Maddie Ridout instructed everyone on what to do. The finished products will be entered into Launceston show in their own class.